Fax : +91 2632 236335. NEWTECH screen printing & heat transfer machines with the brand name NEWTECH has been a reliable Manufacturer in Screen printing & Heat Transfer industry of India. Newtech Machines also manufactures complete range of Printing machines to print on Round, Square, flat and rectangular articles. Newtech Screen printing & Heat Transfer Machines are available for Cylindrical as well as flat article Printing. 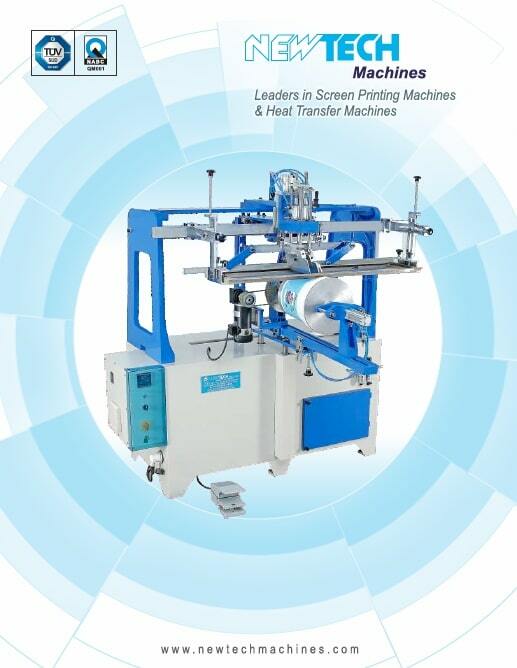 We can proudly say that the best Screen Printing & Heat Transfer Machines India manufactures is NEWTECH. If the machine you need is not listed, please do not hesitate to contact us using the form below and we will find it for you! !